Planning a wedding is never easy. New brides need to know about the up-and-coming wedding trends and we have the insight on what’s HOT in 2018. 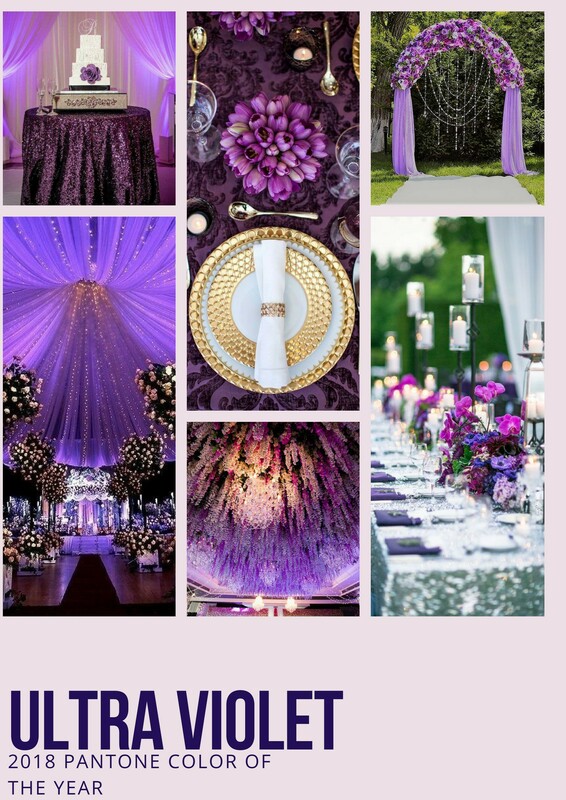 Choosing the right colors for your wedding day is a huge part of the overall style and theme that you are trying to create. 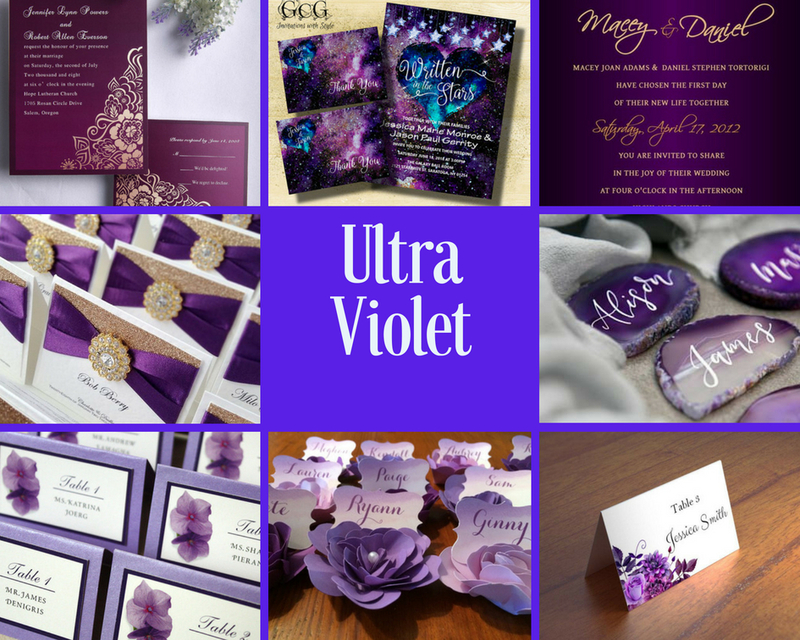 Pantone selected ultra-violet as color of the year. 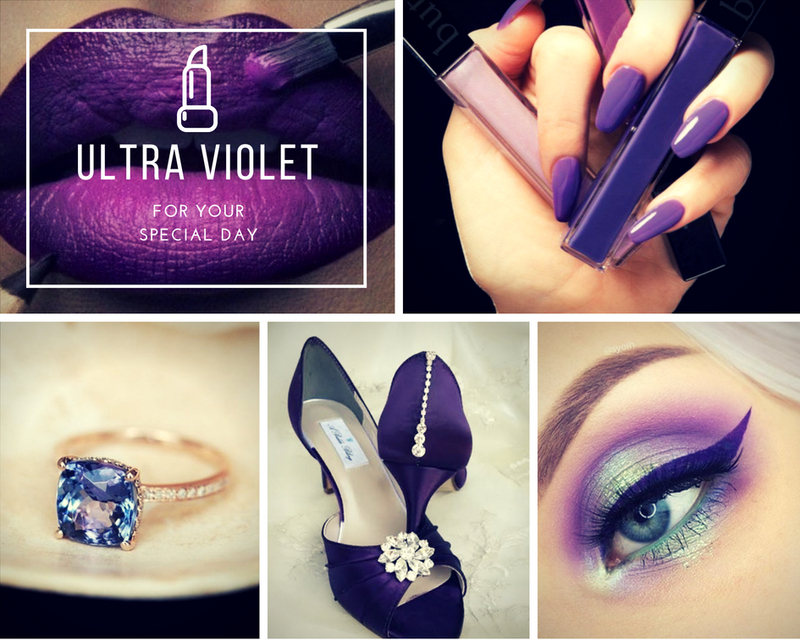 This deep blue-based purple is PERFECT for both spring and summer seasons. 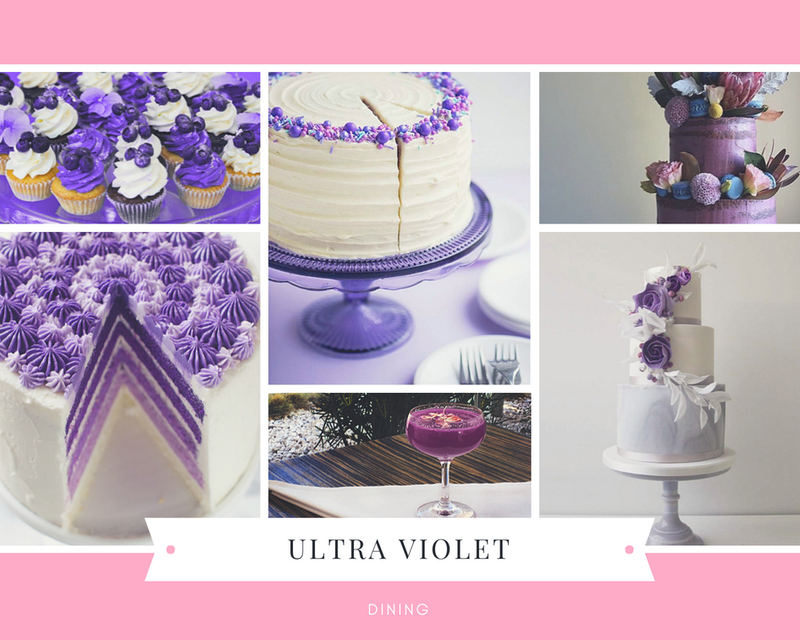 From invites, makeup, gowns and even food, couples are using ultra violet and shades of purple in different ways to capture their theme. It’s definitely a far cry from the dull blush and whites of the past. 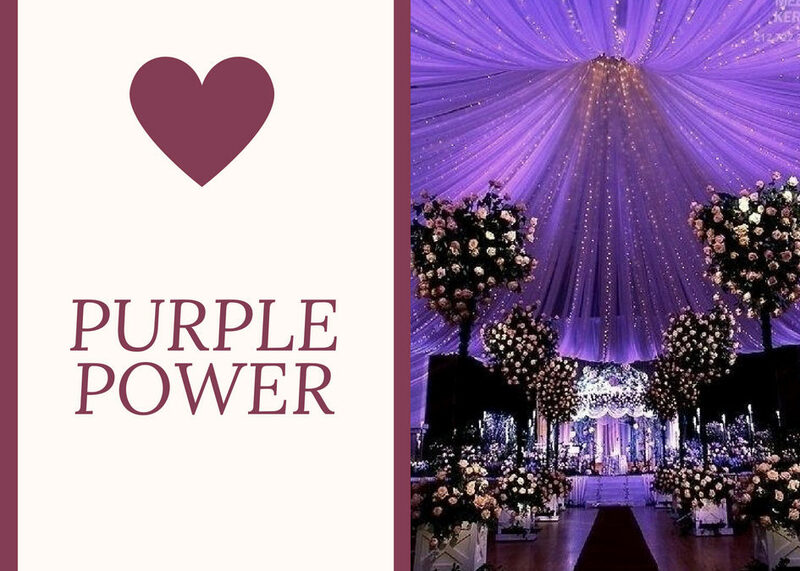 Take a look at some amazing wedding ideas about how to incorporate this great shade into your wedding details. 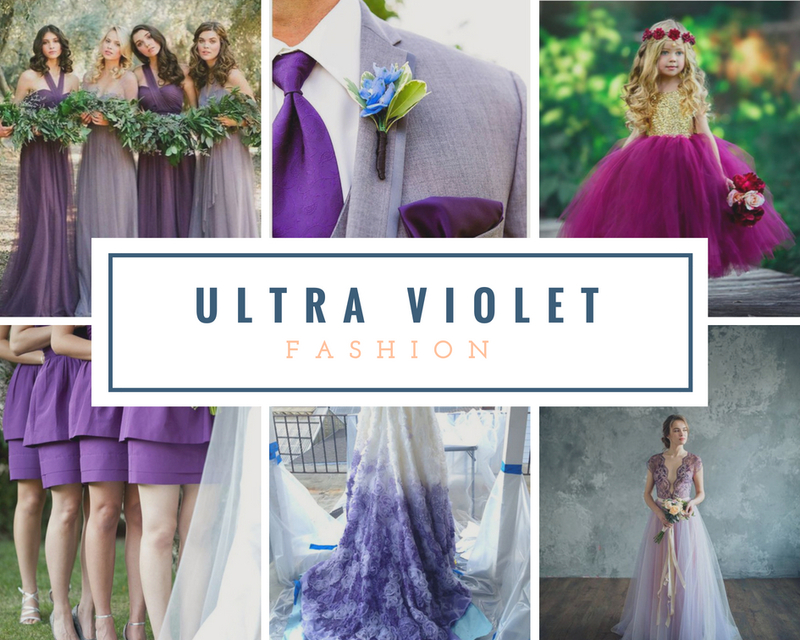 You can have your bridesmaids wear the same shade of violet in different silhouettes, or you can complement it with other shades of blues, greys, and silvers. Smarten up your groom with a velvet boutonniere or handkerchief.